Who were the winners from the weekend's biggest shows? What is the answer to Friday's Time Capsule contest? 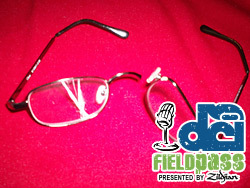 And, what happens when the Cadets march their entire show over a pair of Dan Potter's reading glasses? You probably know the answer to that one, but Potter has a better explanation of all the weekend's top events on the DCI Summer Tour in today's Field Pass presented by Zildjian.